Arbor needed a CRM solution that would help them manage their referral process as well as manage the plethora of documents and email attachments their sales representatives dealt with on a daily basis. 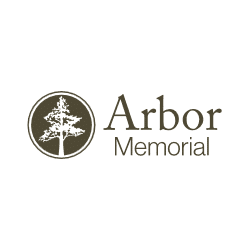 Arbor Memorial is an industry leader in providing responsive, respectful and meaningful end-of-life products and services to the Canadian community. They are committed to helping families remember and pay tribute to loved ones by providing professional and ethical guidance, innovative customer-focused service and pre-planning solutions. Arbor implemented CRM for Dynamics 365 with PowerObjects, an HCL Company as their implementation partner. PowerObjects helped Arbor Memorial clarify and define their key internal sales processes at the beginning of the project. With PowerObjects’ guidance and expertise, Arbor was able to develop what the final system would look like, see what functionality the system had out-of-the box,and discuss how to make it as easy and user friendly as possible. They were able to get all the functionality they needed with Microsoft Dynamics 365. With a sales team of over 450 spread across Canada at approximately 40 locations, as well as numerous cemetery locations. Arbor needed a CRM solution that would help them manage their referral process as well as manage the plethora of documents and email attachments their sales representatives dealt with on a daily basis. The solution was to use PowerObjects’ CRM PowerPack Addons for Dynamics 365. Creating CRM web forms is fast and easy with the PowerWebForm add-on for Dynamics 365. 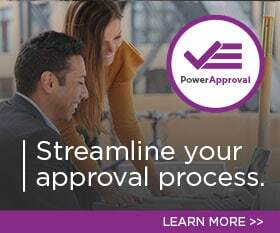 PowerWebForm lets you capture information from an online web form and instantly pull that information directly into CRM. You can then choose to create a lead, a contact or any other CRM entity, including custom entities. Easily build your web form in CRM, post the web form on your web page and start gathering submissions. PowerWebForm eliminates the need to export/import lists from other databases into CRM. Plus, you now have the ability to follow up with visitors who showed interest on your site, without any lag time whatsoever. Our latest version of PowerWebForm has been enhanced to allow users to create landing pages for their web forms. PowerWebForm is a critical component of Arbor Memorial’s referral processes. Arbor operates as two separate business units, a funeral division and a cemetery division. The cemetery partners rely on referrals coming in from their funeral homes across the country. Before Dynamics 365 and the use of PowerWebForm, this referral system was a manual process. Arbor had to assign someone to populate and create the new contact referrals in CRM. An email would be sent to that person whenever a referral would come through. They in turn would have to go in to manually create the contact in CRM and assign it to the appropriate branch manager. Now the process is automated. Funeral homes enter information directly into PowerWebForm where it can be assigned to the correct Cemetery manager within CRM. To date, Arbor has received approximately 4,200 referrals come through with PowerWebForm and they’ve cut the referral process time in half. Arbor also uses PowerAttachment, which has saved them about 14 GB in storage from direct email attachments. With PowerAttachment, all email attachments are uploaded to CRM and attached to the appropriate contact record, where Arbor’s sales representatives can review before customer meetings.